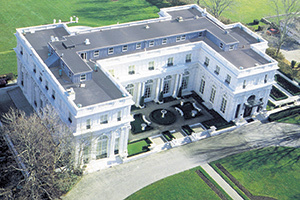 A warm welcome to RubberBond the flat roofing solution that is twice as strong as standard EPDM and performs like new after 30 years. 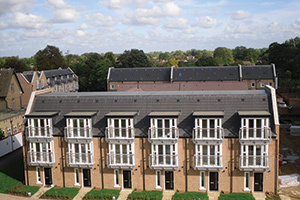 Approved by both the National House-Building Council (NHBC) and British Board of Agreement, you can be assured you are choosing a product that meets the highest quality standards. RubberBond FleeceBack installer by our network of trained operatives (RubberBond’s Specialist Registered Installers) leaves rivals behind, due to its unique patented technology used in the manufacturing process creating a two layer laminated membrane and polyester fleece backing. Why should you use a fully trained installer? 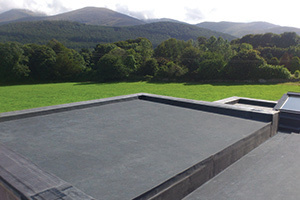 There are many reasons to choose installers that have been specifically accredited by FLEX-R to install our Rubberbond Fleeceback EPDM waterproofing solution – as many of my customers have found out. The most obvious reason to hire an installer that has been accredited by FLEX-R, is to take advantage of the extended guarantees. And the fact that our guarantees are truly no quibble, and currently leading the market, makes this an absolutely fantastic deal. 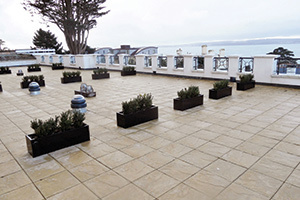 No-one knows a Rubberbond flat roof like a Specialist Registered Installer does – they’ve gone through all the relevant training, auditing and accreditation for our products, they’ve likely also attended additional industry leading training programmes. 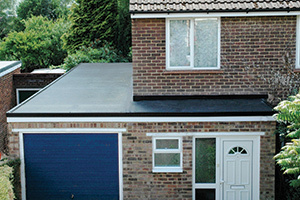 What’s more, they probably have experience of installing and servicing hundreds of flat roofs under their belts, so you’re going to get the most efficient installation – plus, you’ll know your new roof is in good hands. 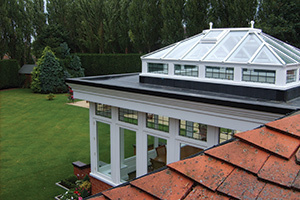 Because our Specialist Registered Installers are trained to be the best, they’ll be able to offer you advice and tips on appropriate maintenance for your roof. They’re also happy to give you solid advice on pretty much anything relating to your new flat roof. FLEX-R only invite roofing contractors who seem as “reputable, quality-conscious and represent value for money” as we are to join our Special Registered Installers scheme – it’s not something you can just pay to get into – giving you ultimate peace of mind. The company also welcomes feedback on all of their accredited installers, so if one of them doesn’t quite match up to the high standards set by the scheme, they can be removed. 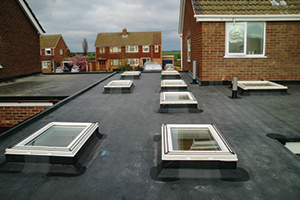 Please be aware that FLEX-R or any of its associated businesses will not be carrying out the roof installation works. Instead FLEX-R will pass on your details to an approved third party provider who will contact you to discuss your requirements in more detail. If you would like to appoint the third party provider to carry out the works, this will be subject to a separate contract which is directly between you and the third party provider. Because FLEX-R is merely introducing you to a prospective third party provider, you agree that FLEX-R will not be responsible or liable for any costs, losses, damages, claims or liabilities you may have as a result of or in connection the performance or non-performance of with the works. You agree that any matters arising out of or in connection with the works shall be between you and the third party provider only. Contact us today and we’ll answer any questions you have and put you in touch with your nearest Registered Specialist Installer who will give you a free survey and quote.